Hey Power Rangers fans! Happy New Year to you and to everyone, but the big news of the year is the fact that this year the Americanized adaption of Super Sentai, Power Rangers, is celebrating it's 20th birthday this year. 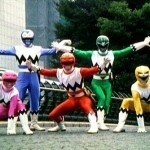 To honor that milestone, TokuNation.com is celebrating 12 of your favorite Power Rangers seasons all year long! You may have noticed the graphic change in the upper right corner of our site. That's because for January, we're going to celebrate Power Rangers Lost Galaxy. Later this month stay tuned for a massive update about all things Power Rangers Lost Galaxy, from the show to the merchandise to the actors and actresses on the show. Can't believe PR has been running so long! There is not much i enjoy on this planet more then multi colored spandex clad heroes kicking monsters in the face. Though I still see the Cosmic states/Meteor Storm/AkibaRed/Gold/Silver Buster in the top corner. 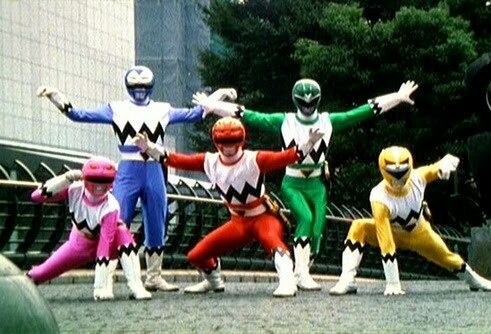 I'm just glad we got Power Rangers to even begin with.Without it we wouldn't know about any of the older series or about sentai at all. Yay Lost Galaxy! !, I love them Charlie Brown suits! Lost Galaxy was when I finally fell out of Power Rangers. The loss of the In Space cast killed a lot of my interest, although it did lead to the awesome team-up episode. I don't think I finished the show the first time around, but I've enjoyed it more on revisits. That said, I actually like it a little less now that I know we could have had Cassie back instead of Karone.